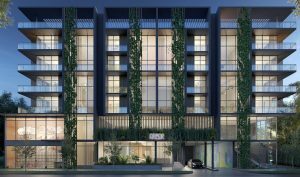 The developers of the Arbor Coconut Grove, a boutique luxury condo project, closed a nearly $21 million loan to complete construction. Property records show 3034 Oak Park LLC closed on the $20.7 million in financing, which adds to a $2.3 million bridge loan from 2017. Trez Forman Capital is the lender. Trez Forman President and CEO Brett Forman arranged the financing, according to a press release. 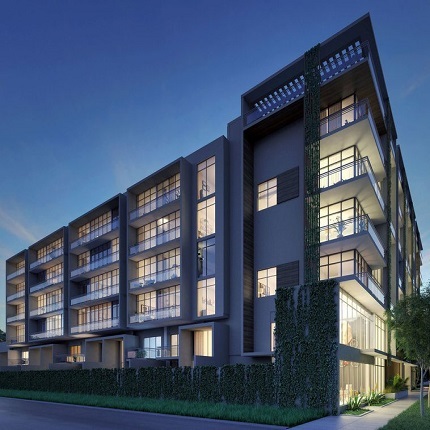 Urban Atlantic Group, led by Nick Hamann, and Oak Ventures, led by Jeremy Waks, launched sales for the Arbor Coconut Grove about two years ago with Douglas Elliman. The 48-unit building will be located behind CocoWalk. The Arbor is being designed by Behar Font Architects and will include units ranging from 1,474 square feet to 2,257 square feet. The five-story building will have four penthouses with private balconies and two-story duplex units, in addition to condos. Amenities will range from a courtyard deck with a pool and grilling areas to a rooftop courtyard with yoga. Units start at nearly $800,000. Property records show 3034 Oak Park LLC paid $5.25 million for the 36,600-square-foot lot at 3034 Oak Avenue in May 2015. Recently completed projects in the neighborhood include Terra’s Grove at Grand Bay and portions of Park Grove, which the Related Group is building with Terra. CocoWalk is also under construction, as is a new Mr. C hotel being developed by the Fort Brescia and Cipriani families.